Almost all Singaporeans are familiar with Facebook and its entire features. In the past, we only rely to “like” to express a feeling. However, the company realized that people need to express feelings more specifically so they provided a broader range of emotions. The emotions are called “reaction”. Many Facebook users find this appealing. In fact, this is better than the “like” button. If you haven’t tried the “reactions”, try pressing the “like” button long then a pop-up will appear featuring six animated emoji. The “reactions” include Like, Love, Wow, Haha, Sad and Angry. What urged the company to provide a wide range of emotions for their users? 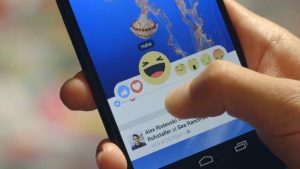 According to the product manager Sammi Krug, many people wants to express more than just “like”. What about things that make people sad, angry or happy? People said that the “like” doesn’t feel right. It would be good to express sadness or sympathy. There is no way to show it thus the “reaction” button. With this new addition, emojis are taking the world by storm. Its use increased together with the increase of smartphone users. Of the 41 billion text messages sent every day, six billion are emojis. This gives us a picture that emojis are slowly becoming the global language. In the past, English is the universal language but emojis actually surpass it. In fact, according to the Newcastle Herald report, English is no longer the universal messaging language. Why is this? You should know that 70% of meaning is derived from spoken language which originates from nonverbal cues such as facial expression and body language. 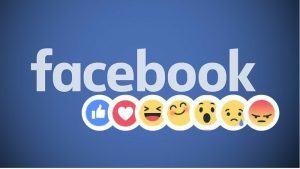 Of many emojis, how did Facebook manage to identify six? It is important that emojis are understood universally and that is where Facebook started. The company did a global research that sought to find alternatives of “like”. They had surveys and focus groups discussion from different countries like Colombia, Japan, Spain and Ireland. The researchers eventually revealed that the six “reactions” emojis were chosen because of their appeal not to mention that the symbols are understood in the world. 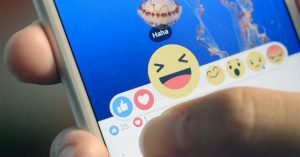 Facebook only meant well when they thought about the universal emoji however there are certain governments or organizations that did not seem to like it. Belgium is actually warning its people of emojis not to use it heavily as it is Facebook’s way of spying and selling information to other third party organizations. Whether you often use emojis or not, the fact remains that it added spice to our conversations. The important thing here is we understand each other and that is more than enough.